Lead designer and principal of ILIAD Design New York. 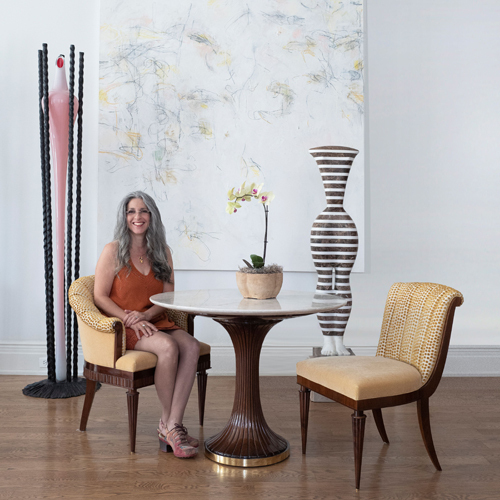 For nearly two decades, Andrea has collaborated with both clients and design professionals to decorate some of the world’s most opulent and elegant homes. As an interior designer for ILIAD, Zemel is both an accomplished and imaginative space planner and a hands on project manager, bringing her artisanal approach and art historical background to the practice of her trade. 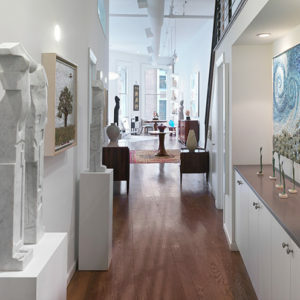 She has worked on several comprehensive residential projects with leading architects in New York and continues to collaborate with many of the world’s top trade professionals to create masterfully executed contemporary – as well as period inspired – furnishings for their client’s collections. Washington DC born, Zemel received her BFA from the University of Pennsylvania in conjunction with the Pennsylvania Academy of Fine Arts. She later completed her MFA at Penn’s Graduate School of Fine Arts, studying under Neil Welliver and Hitoshi Nakazato. Zemel continued on to spend three years on Penn’s faculty as an instructor. Among her accomplishments, she established Penn’s collaborative and public art program, that continues to this day. In the mid 1990’s, Zemel left academia and moved to New York to explore business in the arts with her partner Adam Brown. The two ventured to Prague to acquire fine art and antiques in the recently post-communist Czech Republic. There, Zemel was captivated not only with the modernism of Biedermeier and early 20th century Constructivist design, but by her first encounters with the early modernist Avant Garde art traditions of Eastern Europe. Informed and inspired by these new idioms, Brown and Zemel shared their zeal as collectors and purveyors of Czech and Hungarian modern art. 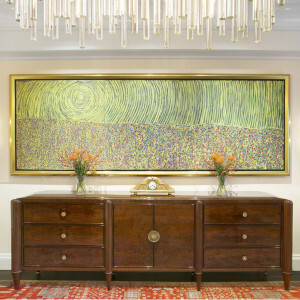 In 2000, after forming strategic business partnerships in Eastern Europe, the two opened ILIAD Antik in the heart of Manhattan’s midtown design district, becoming one of the world’s premier dealers in Biedermeier and continental Art Deco furniture. 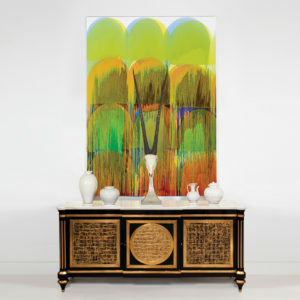 In 2001, looking to her prior experience as sculptor and draftsman, Zemel launched ILIAD Design, which was then focused on the design and production of bespoke furniture as an intuitive response to industry demand. Since then, for more than a decade and a half, Zemel has created an extensive portfolio of commissions for distinguished international clients at ILIAD’s ateliers in Prague and New York. Currently, Zemel focuses her attention on creating inspired environments that incorporate all aspects of interior furnishing. Her philosophy is to apply her full exposure to historical design to the idiosyncratic tendencies of each individual client, allowing for a collaboration that creates both timeless elegance and personal uniqueness in each project.